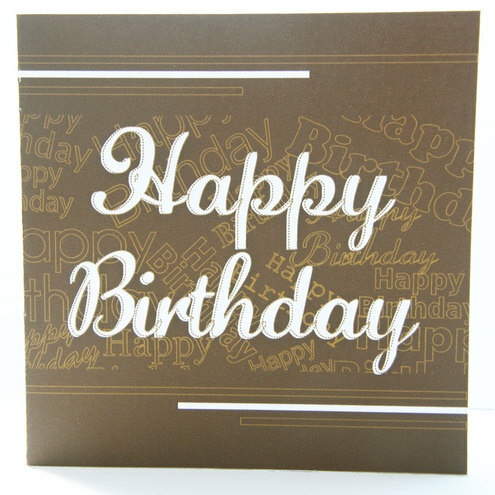 This is a birthday card for a male. Is is 125mm x 125mm in size and is printed on white card. It comes with a white envelope and cellophane bag. It is blank inside for your own message. Each card is designed by me. Folksy :: Buy "Winter Bloom Purple & Green Flower Crochet Brooch"
Folksy :: Buy "Bollywood silk & feather brooch / pin"
Folksy :: Buy "Set of Three Cotton Snowflakes (green centre)"